KAR 98a still in imperial trim - only one I've seen not converted to m38 pattern. Very nice collection. Those have got to be some of the best-looking Turks I've ever seen. Turks, another portion of my collection I sold off years ago and I'm still kicking myself in the back side for that brilliant move. 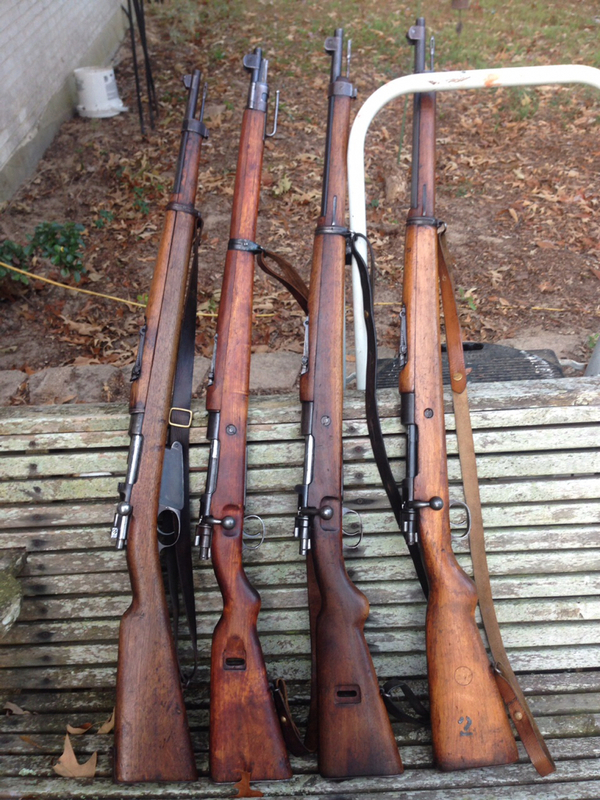 I sold a couple to my friend Candyman to help him on his quest to own "ALL" the Turk rifles in existence, sold another to a good friend Larry, AKA FelixMophandle that actual was matching, a fine shooter, I should have kept. You have a nice collection, I never had a short one, something I always kept an eye out for but never seemed to fall my way. The Turks have started to get more respect the last several years, for quite some time they where looked down upon which kept there prices lower than they should have been. Very nice collection. I've got to get mine out for a family photo. Very nice collection! 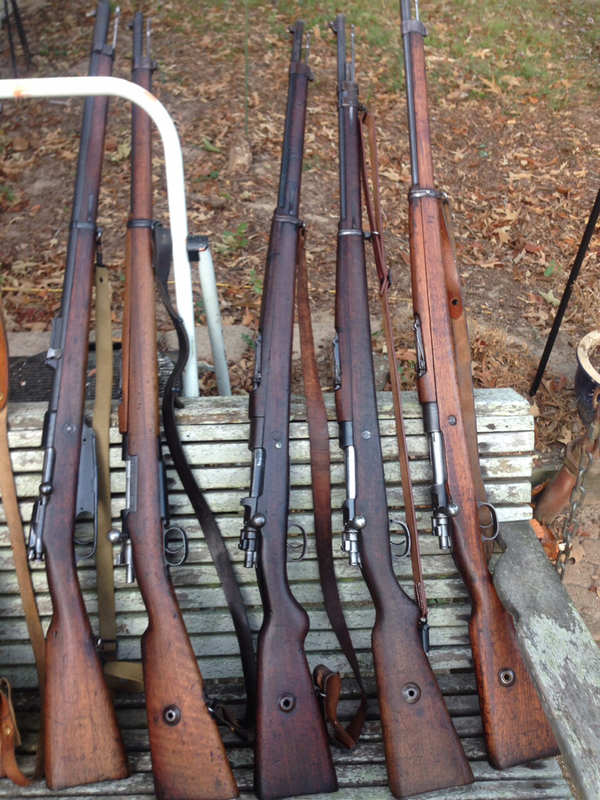 I've got a few and have acquired 2 more recently including a matching 1903 model. I used to pursue the Gew98 conversions, having had at one time 11 variants, some with numerous intact Imperial fractur proofs and "Gew 98" siderail markings. I regret selling most of those years ago. I went through many Turks collecting in the last thirty or so years. Don't have any left.